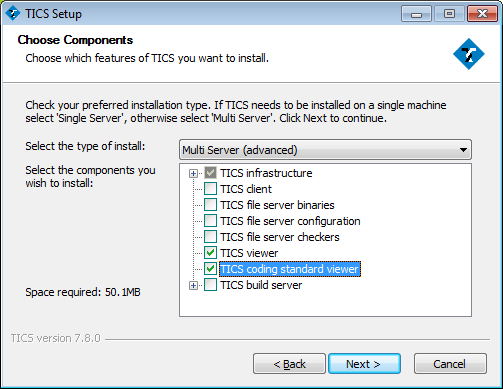 Choose "Multi Server" in the combobox and make sure the options "TICS viewer", "TICS coding standard viewer", "Apache", "PHP", and "Tomcat" are checked. 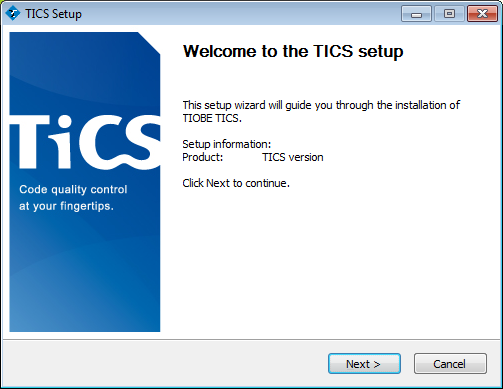 The latter three can be found under "TICS Infrastructure". 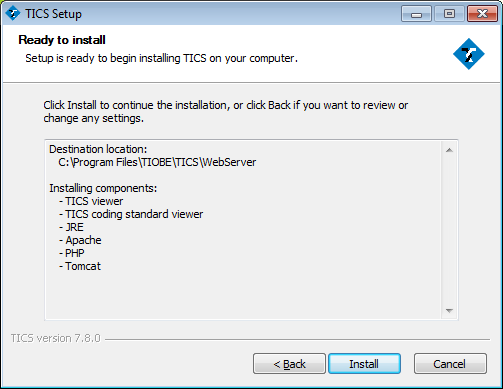 If you already have Apache installed (e.g., because you have already installed TICS before), or if you would like to use Microsoft IIS, you should uncheck "Apache". 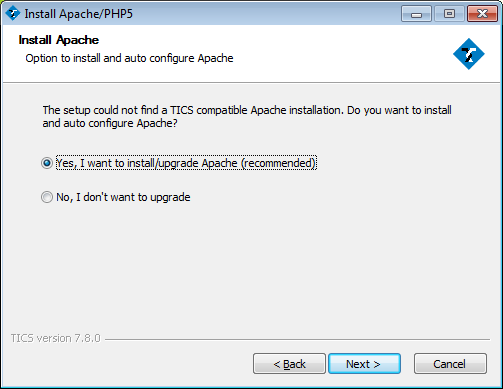 When in doubt, leave "Apache" checked: if the installer detects that Apache is already installed, installation of Apache is automatically skipped. 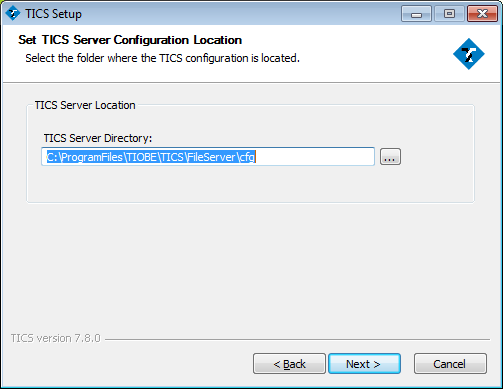 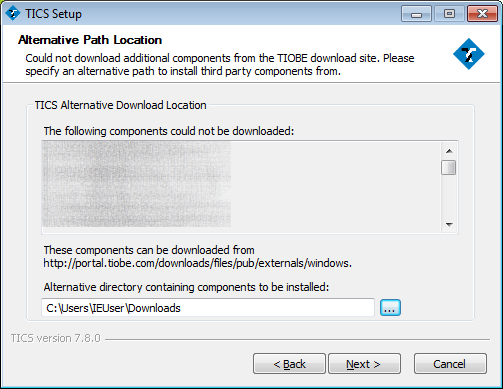 Select the location of a web server section as the "Destination Folder", e.g., "C:\Program Files\TIOBE\TICS\WebServer\SectionName" and click "Next >". 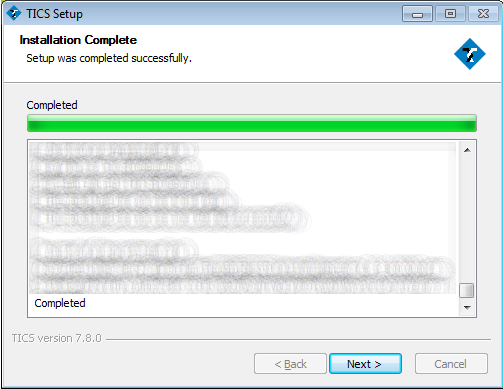 If you want multiple Sections, see Adding Sections. 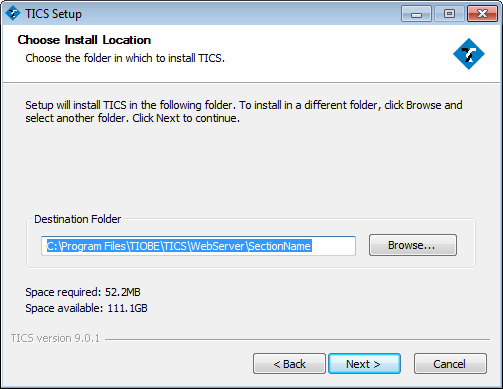 The Web Server installation is complete.